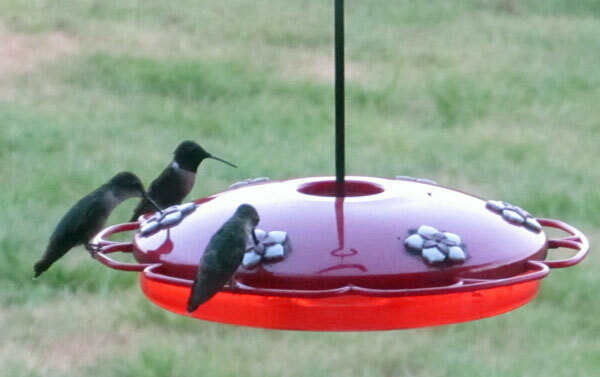 All of our many hummingbird feeders are very busy as the "hummers" ready themselves to take off for winter quarters. Flocks of geese began heading south a couple of weeks ago. I suspect we'll have an early winter in the Ozarks. Our equine, Cakes and Ditty, could care less about the little winged things. Jeffie likes to watch the hummingbird wars from a safe distance where they won't dive bomb him. 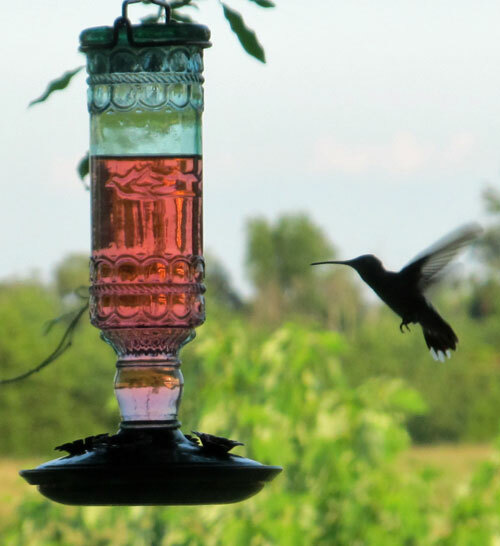 I love watching the humming birds. No wars here. Just a few buzzing around the Honeysuckle. The are one of my favorite things to watch. We have not seen the geese leaving early here. In fact, I haven't seen them leaving yet. Does that mean winter is a while off? I think we will have an early fall, but it may have more to do with the heat and drought here than anything else. 6 weeks straight of temps well over 100. And we're at 9 weeks and counting with NO rain. Heck, if I could take off from this hot, crunchy place, I would, too! 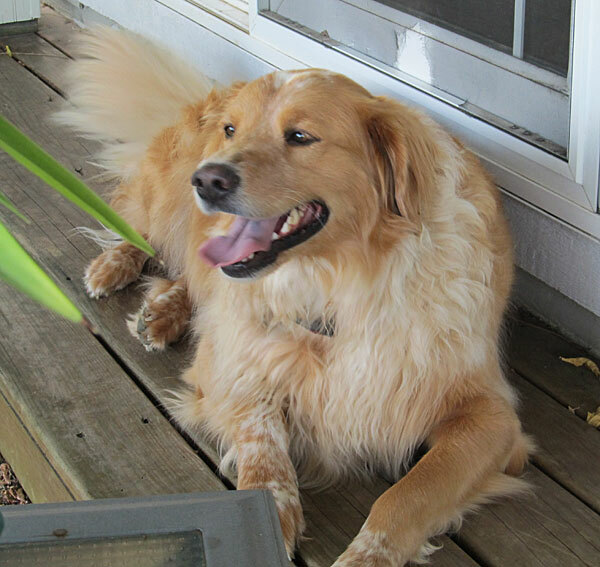 Bird watching, I don't think Boomer or Dottie do that much of it here, they are into squirrels and bunnies a bit more. But, I don't think they've ever seen a hummingbird either. Neat! I wonder if we can get humming birds to come visit us. That is really smart of you Jeffie to stay away. I think my Maya would stay away from the birds but I'm not so sure about my Pierson. so sweet!! I think we are going to have an early and bad winter, everyone is saying that based on the activity level of the squirrels! I love the hummingbird pics especially. I don't think I've ever seen hummingbirds... ever. 3 hummingbirds at once? What a great shot! What cute little things! An early winter for the Ozarks sounds lovely. We're not Ozarks, being in Tulsa, but we're close enough. After skipping this last winter, hoping for a doozy this year! We had one hummingbird last year, but lost the feeder in the freak October storm. I haven't replaced it. Do they really dive bomb the dogs? Yup. They really do dive bomb the dogs! (And the cat, too) Jeffie usually just stays out of the way. It ticks Rudy off and he sometimes snaps at them (though they are in no danger of getting caught). 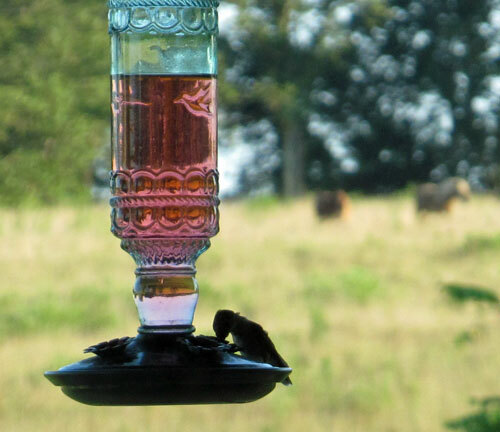 I would love a hummingbird feeder and I'm going to get one next year (maybe now while they're on sale). We saw our first humming birds this year and it was so exciting. We planted a honeysuckle and two came to hang at our house.